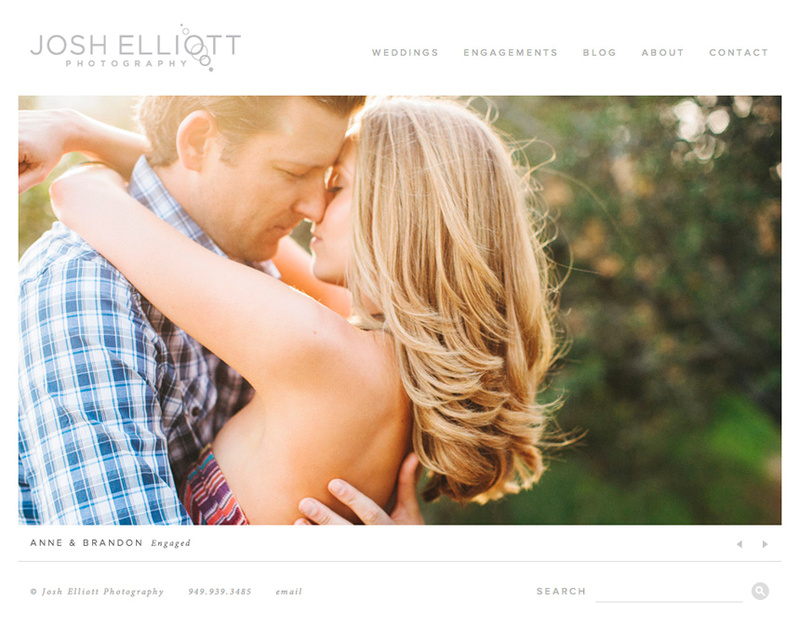 I’m excited to announce the rebrand of Josh Elliott Photography! In late 2009 I launched the previous version of my brand and I loved it… how clean and modern it was with the lens flare through the logo… it was perfect. Over the past few years, my photography style has evolved to a more clean, organic style using all natural light and I felt the color black in my branding was too heavy-handed and didn’t mirror my new style. In early 2013, I reached out to my branding experts to talk about a simple, clean update to my logo and website and I couldn’t be happier with how everything turned out. Removing all of the black, thinning out the logo, tightening things up and stripping out all unnecessary elements from the website made a huge difference. I feel this brand is still “me” but with a new breath of fresh air. I am so lucky to be have been able to work with such amazing professionals on this project. Mattson Creative was the brains behind my original logo/branding and helped push me in this new cleaner, lighter direction with the updated brand. 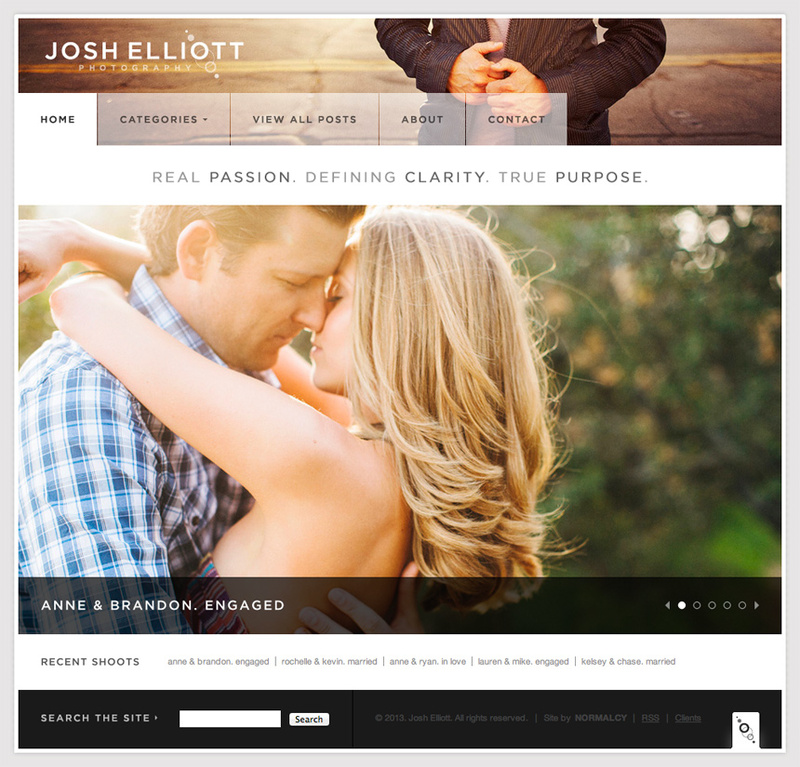 Normacly, Inc really nailed it when it came to my new website. I love how clean, open and subtle the design is but don’t let that fool you. Normalcy had to create & code some custom features that allow for ease of use, clean design and help set my site apart from others. I couldn’t have envisioned this rebrand without the help of these talented professionals and I couldn’t be more stoked on how everything turned out! This rebrand launches a new chapter in my business and the journey I’d like to pursue with my work.